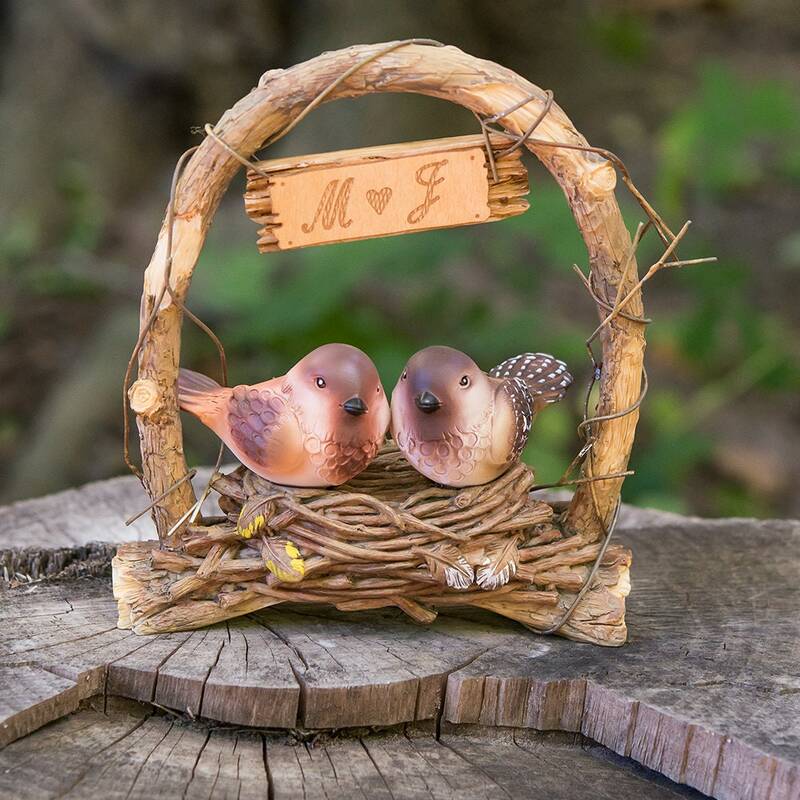 Nestled under a homespun archway, this adorable Love Bird pair snuggles in close. 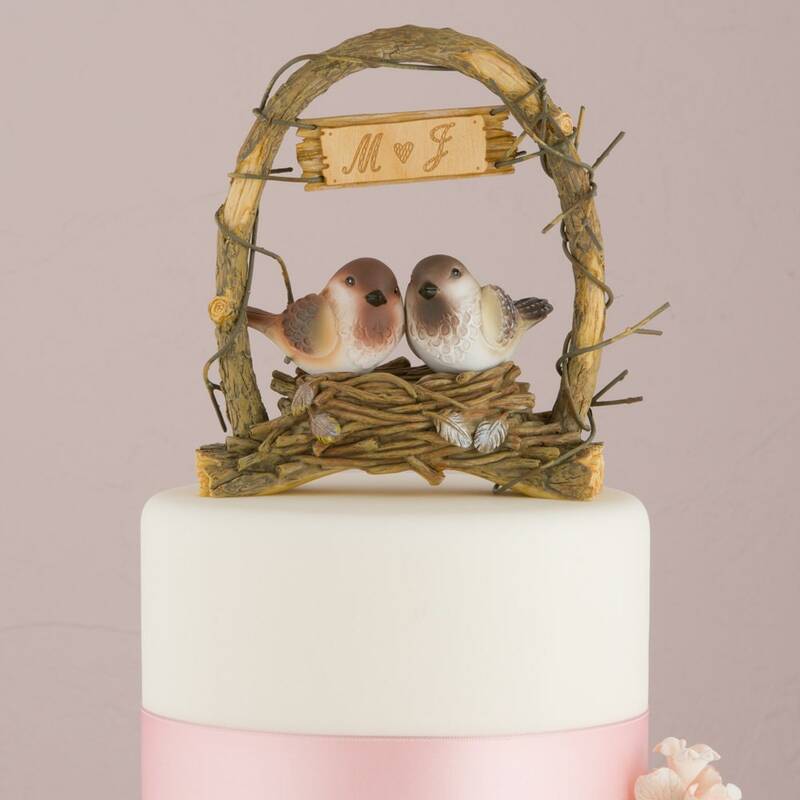 Ideal for nature lovers at heart, this whimsical Cake Topper adds a touch of fun and rustic charm to any wedding style. 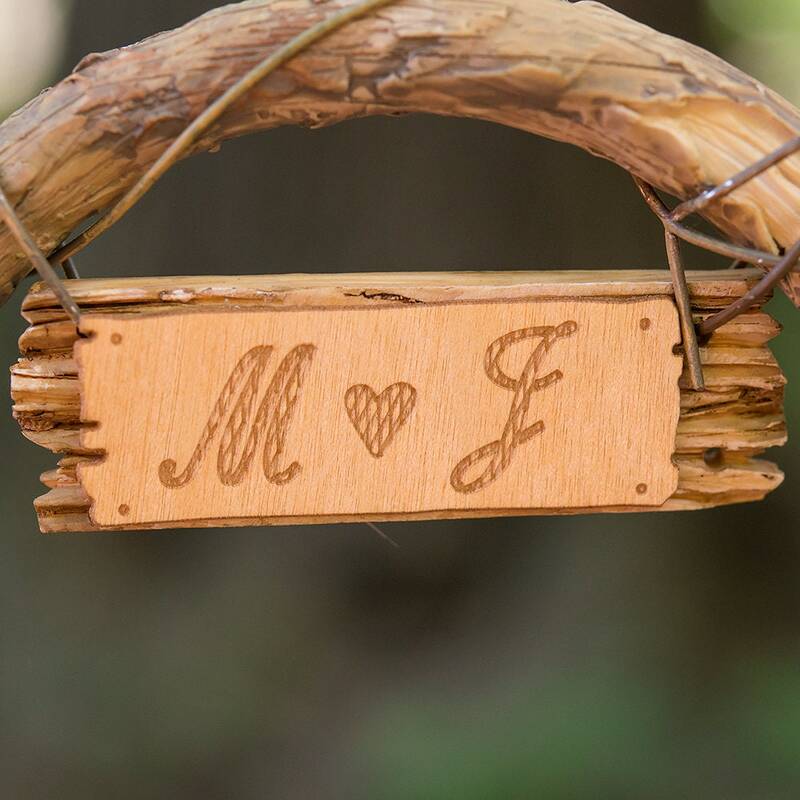 Etched miniature sign, your initials will be the perfect finishing touch.